Finally! 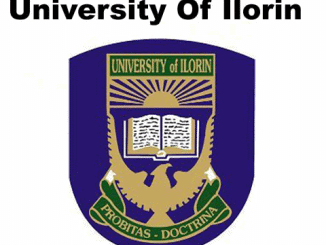 The University of Ilorin, UNILORIN 2018/2019 1st and 2nd batch Admission List has been released! All the candidates who participated in the Post UTME Screening test can now proceed to check their admission status. This is to inform all the candidates who applied for admission into the above mentioned institution in the 2018 UTME and participated in the Unilorin Post UTME Admission Screening are hereby inform that the FIRST and SECOND Batch admission list has been released. New! University of Ilorin, UNILORIN 2nd batch Admission List has been released and uploaded on Joint Admission And Matriculation Board, JAMB CAPs Portal for checking. Therefore, all the candidates who applied for admission into the University of Ilorin and participated in the aptitude test are hereby inform that the UNILORIN Provisional (1st and 2nd batch) Admission List is out and it is available on JAMB CAPS. For detailed guideline on how to check your admission status on the JAMB website, CLICK HERE and when the page opens up, click on the “ACCEPT” or “REJECT” button to indicate acceptance or rejection of the admission offer. Candidates who participated in the UNILORIN admission screening exercise for 2018/2019 academic session can now proceed to confirm their admission status on the University’s portal. Step 3: Click on the Check Admission Status button to view your admission status. Please if you have received yours via SMS, do share it with us via the comment section and our Facebook page. (You can also like us on Facebook for latest school news). Candidates whose names appeared on the University of Ilorin Admission List are hereby inform that the payment of Acceptance Fees has commenced. See the Complete details -> UNILORIN Acceptance Fees Payment Procedure. Please support us by clicking on the twitter, G+ and Facebook like button to share this news with your friends. No. The second list is not out yet. What of now; is anyother list come aside the first list? We will inform you when the second list is out. We don’t know why. But it will be out. pls i heard that unilorin has not been giving nursing aspirant admission, is it true? We will have to wait for the school to release the next batch. Please,am so nervous when the second list will be out.I don’t know why it’s taking so long.But some news said it’s outta already!!!!! From what we know so far, the 2nd list is not out yet. We will find out when the second batch is out! Is the second list out yet? pls any news about the second list, what’s delaying it? Legendk!D please my brother and I applied through D.E, we got 12&11 points respectively and 69&66 respectively in our post utme. Please what could be delaying? Because we’d been waiting since last year but nothing yet. Do we still have hope in the forthcoming 3rd batch? We don’t know if there is going to be third batch yet. Meanwhile, while waiting, please endeavor to purchase the current DE form. Wishing you and your brother all the best.